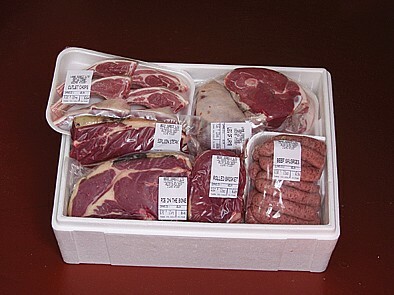 If you would like to try a selection of our meat please ask for a meat box to be made up, from a minimum of £50 up to any given value and to any other specifications you have. Carriage is £12 (mainland UK). ...or ask us to make up a selection of your favourites! We believe that talking to people is important. By doing so we can try our best to meet your meat needs. Contact us on 01248 470387 if you wish to place an order or if you have any questions regarding our Welsh Black Beef or Welsh Lamb.